Yesterday I put an envelope in the mail. It was addressed to my family in Colorado, and it contained three paper chains--one from Aaron, one from Maxwell, one from Bradley. 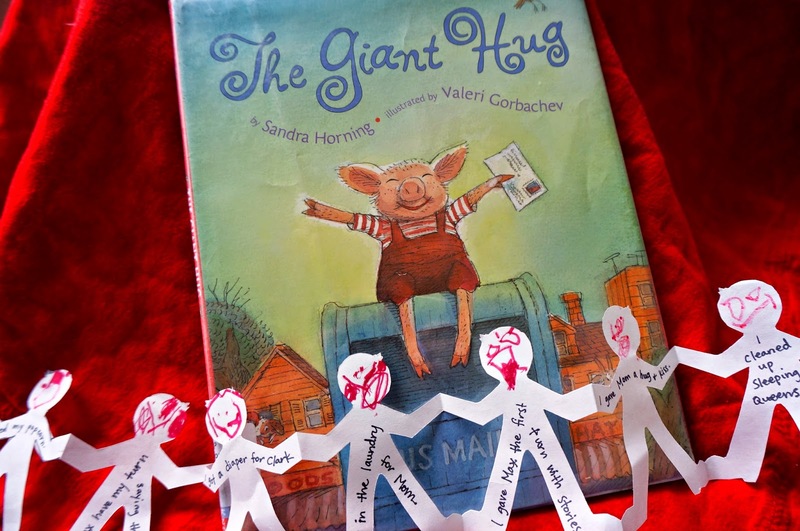 They were inspired by the picture book, The Giant Hug, and as such, we like to call them Hug Chains. To find out more about this book and craft (including what we wrote on the Hug Chain), check out my post on What Do We Do All Day. What did your kids send their loved ones for`Valentine's Day? Adorable! And I love Mike's poem. This would be a great Sunday School project, too!